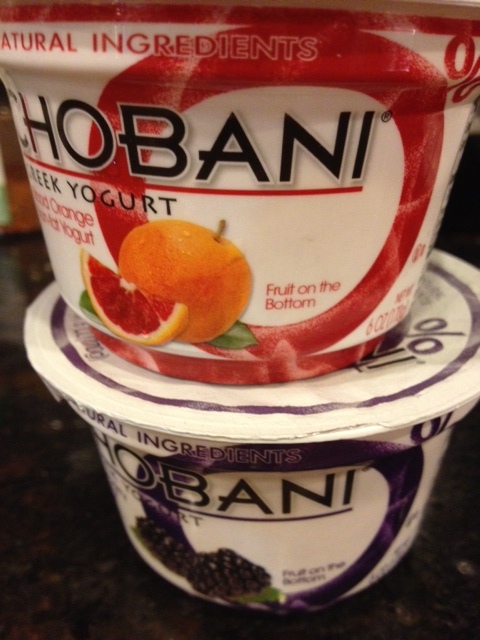 The problem is my children LOVE Chobani Greek Yogurt. We only buy it when it is on sale. When it is, we stock up. They are great for snacks or with a meal. And yummy. (No, not getting reimbursed here—just wanting you to know how much this e-mail stressed me out.) I’m a label reader from way back. I have to be. I have a child with severe food allergies. It is my job to be vigilant. So this e-mail suggested that the folks addressed in it should cease and desist from eating Chobani as it contained hemp seeds, which could trigger a positive result on a drug test. Now I know about hemp and marijuana—same species, different set of dogs. But to think that I might possibly have been feeding this to my children? Without realizing it? No. Way. I found myself doubting me. And my abilities to feed my children. I panicked. I HAVE to be a good label reader. There is no other option. My child’s life depends on it. Wouldn’t I have seen that? Wouldn’t they have to label it properly? I hoped for a snopes.com story about this rumor but no. So I did what has come naturally in recent years. I looked it up on the internet. My friends and I were talking about this yogurt yesterday–and right after that I found it in our local grocery store. Yes, the “hemp seed” yogurt has made it to middle Georgia! 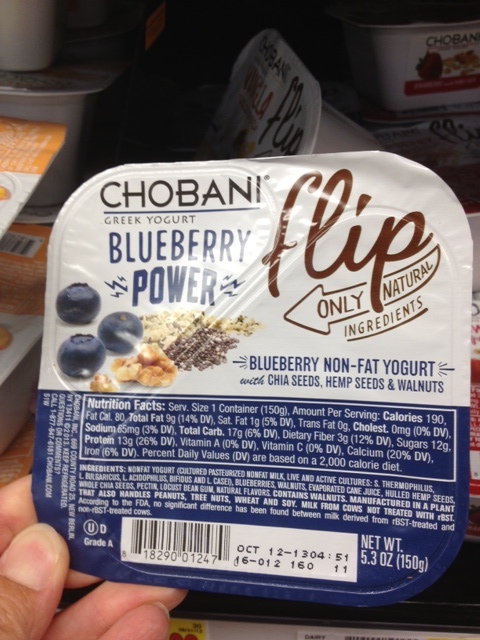 It was on the Chobani website itself that I found the story about their new flip style yogurt being released. These are square-shaped containers that have yogurt on one side and granola or fruit or hemp and chia seeds on the other. You literally flip them over into the yogurt, stir, and enjoy. One of the new ones is called “Blueberry Power” with chia and yes, you got it, hemp seeds ready to be mixed in. Relief. I can laugh about it. Now. No surprise ingredients–I had been reading it correctly. Thanks for that scare, Anxiety Girl! Just to be sure, I re-read for probably the 100th time the label on the Chobani we had at home. (OCD much?) We were okay. Anxiety Girl shows up at the oddest times. Sometimes I hear a noise I’m not sure about, and I will be fine. Then I’ll hear the story about the international young people going around selling books and trying to get in people’s houses for nefarious reasons, and I’m all about not unlocking the door for anyone. There’s not really a rhyme or reason to what my anxiety locks in on and obsesses over–it just happens. I can worry over something one day and then the next day it’s on to something else. Ours is a society that feeds on anxiety, isn’t it? Some people seem to love fear mongering. The news folks like to share these stories that have us all convinced the next “bad thing” is going to walk right in our front door and settle in for a good long time. And hog the remote. Nothing you can do but prepare the guest room and sit and wait. Which isn’t stressful at all. *sigh* The anticipating all the bad than can happen–seriously, that’s really exhausting. Some call it hypervigilance, I just call it survival–it’s how I roll. This way of thinking, this pattern of worrying over that which hasn’t happened yet and might not ever–it’s something I have got to break. It’s a struggle. I have my good days and I have my bad. I have tried to pinpoint triggers, and I think I’ve found a couple. 1. Sleep. When I don’t get enough sleep, it’s easier to be irrational in my fears. 2. Change. When life delivers a big old bowl of change or loss or disruption to what might look like normal, I get all discombobulated and the stress is there to make sure things stay that way. It’s hard to fight the waves of panic and be rational when things are uncertain and hard to deal with anyway. I saw this quote the other day. I smiled, but the truth in it resonated with me and has hung around in my head for days. I do love my rocking chairs. Inside, outside, in between. But to give the time I could be sitting, rocking, and listening over to stress, worry, and anxiety? I’d rather not. I’d prefer to sit and rock and listen to the sounds of the hummingbirds zipping around (sounds just like the light sabers in Star Wars–sorry we’re a little obsessed over here–still), or the delighted squeals of the littles as they catch another frog or “Hoppin’ Joe.” Just sit and soak in life rather than let it be chipped away and cracked by the anxiety and worry of what might could happen. But please hear me say this. There are some forms of anxiety and panic that are NOT a case of mind over matter or changing patterns of thinking. There are legitimate chemical imbalances that can cause these attacks which require professional treatment and possibly medication. And I’m one who believes in therapy. With a good therapist. Please don’t let anyone make you feel like you are weak or a failure if you can’t fight it alone. It’s okay to ask for and seek help. *steps off soapbox* Thanks. In the end I think the yogurt e-mail was a result of someone else jumping to conclusions. Rather than realize that it was just this one yogurt, they were all prepared to not have any. I think anxiety can cause us to do that–we miss out on so much because of one fear or past experience. Instead, if we can and will do our research and not automatically jump to those worst case scenarios, we will begin to live and enjoy life a little more. And hopefully one day a lot more. After all, Anxiety Girl’s a cutie, but she’s a real drag to have around. ***In researching tonight I found out that Chobani will be removing the hemp seeds from their Blueberry Power in the future. So if you’re wanting to try it, you need to put it on your list and head on out to your grocery store. Let me know how you like it. Also if you are interested, my friend Baddest Mother Ever and some new blogger friends are linking up to share responses to the question, “What’s a Challenge You Are Facing?” If you are interested in reading more takes on this question, please visit Flotsam of the Mind and find other links at the bottom of her post. Thanks! I absolutely love “able to jump to the worst conclusion in a single bound.” Hilarious. Perhaps by identifying Anxiety Girl as your alter ego, you can send her out to do the stressing while you stay home in your rocking chair? Here’s hoping. That is an excellent idea right there! I like it. I’ll see if she’s up for it. 😉 Thanks for reading. I need an Anxiety Girl t-shirt! Love the Bombeck quote, I’ll have to try to remember that one next time I feel the panic rising over all the nothingness I stress about. I need the shirt too Amber. I have looked all over and while nataliedee.com has some tees on sale, I cannot find that one. Supposedly she is discontinuing her t-shirts. I looked on ebay too. Nothing. Maybe we could start a writing campaign to get them back on the market? And yes, the Bombeck quote is a good one. 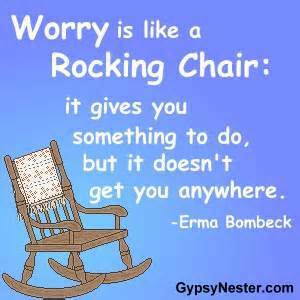 It gives a good perspective on what worry really is. Doesn’t make it much easier not to worry, but it helps a little. I hope it helps to know you aren’t the only one. Thanks for reading and sharing. Hope you’ll come back. Your vigilance puts me to shame. It’s sure a different time than the 70’s and early 80’s when my kids were young and I worried about what was in a hot dog. Thank God they have all beef and turkey dogs now! Hi Tara! Found your blog through the rocking chair picture. I guess I needed to read this certain post again >.< miss you big time!